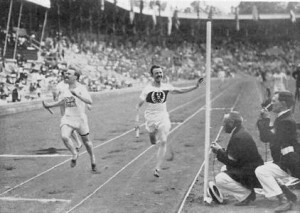 The National Archives has just launched a fantastic website called The Olympic Record to showcase their varied Olympic holdings. The site includes digitised images of selected documents, ranging from diplomatic despatches about the 1896 Athens Olympics to key materials on the 2012 Games. It’s arranged in a timeline, so you can search by Olympics, and it has lots of useful links. This is a resource of major importance to all Olympic historians.